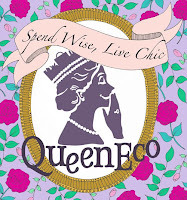 Looking for a place that you and your fashionista gal pals can hang out at after a day of retail therapy? A great dessert place is Riquiqui in Central. Ironically, it's located right across from California Fitness where people running on the treadmill can look across Wellington Street and see people digging into delish desserts. Riquiqui, which means "tiny" in French, has been open for over half a year. It's open Monday to Saturday from 6pm until late and offers a three-course dessert menu that's written on a white board with items changing frequently. The concept is that you get a "appetizer", followed by the main course of your choice, and finished with petit fours, all for HK$200, including a glass of wine or herbal tea. 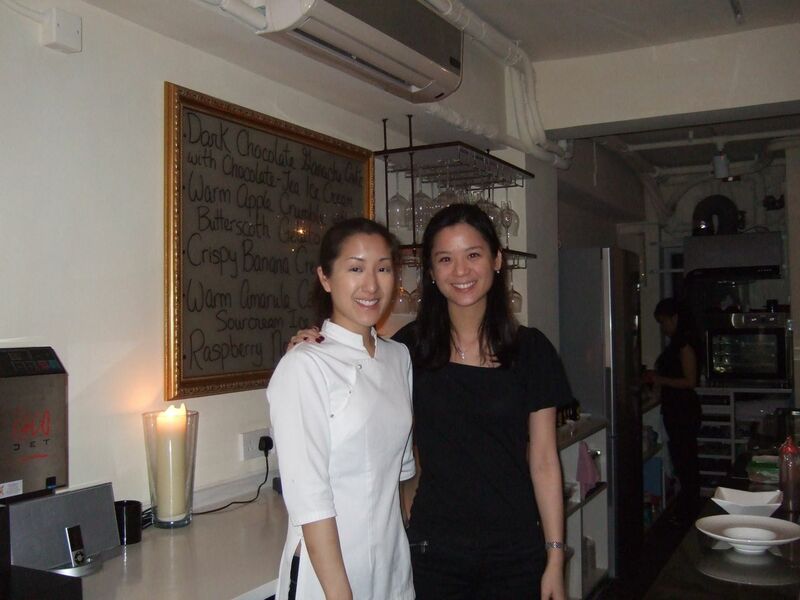 It's opened by Amanda Cheng and her cousin Andrea Lau (pictured above). Cheng is a bona fide pastry chef, having studied at the Culinary Institute of America and worked in New York, Los Angeles and Vancouver before coming to Hong Kong. Full disclosure: Cheng and Lau are family friends of mine and I have been to Riquiqui many times. The two are hospitable hosts, chatting with customers and making sure you're well looked after. The small open kitchen also allows customers sitting at the bar to watch Cheng put together the desserts which are completely made from scratch. Some of the delectable creations include crispy banana cream pie and banana sorbet, peach melba tart with champagne gelee, pavlova with tropical sorbet, marscapone cheesecake with flambeed bing cherries, and a cheese plate. 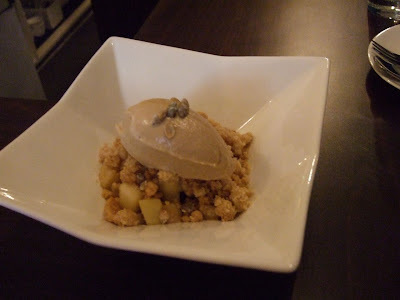 The apple crumble topped with vanilla ice cream is fantastic, full of cinnamon and not too sweet, while the pineapple polenta with coconut ice cream was intriguing, but also an interesting play of textures and flavours. Tempted? The place is small and cosy, with a long L-shaped bar and bar stools, and crystals hanging above. 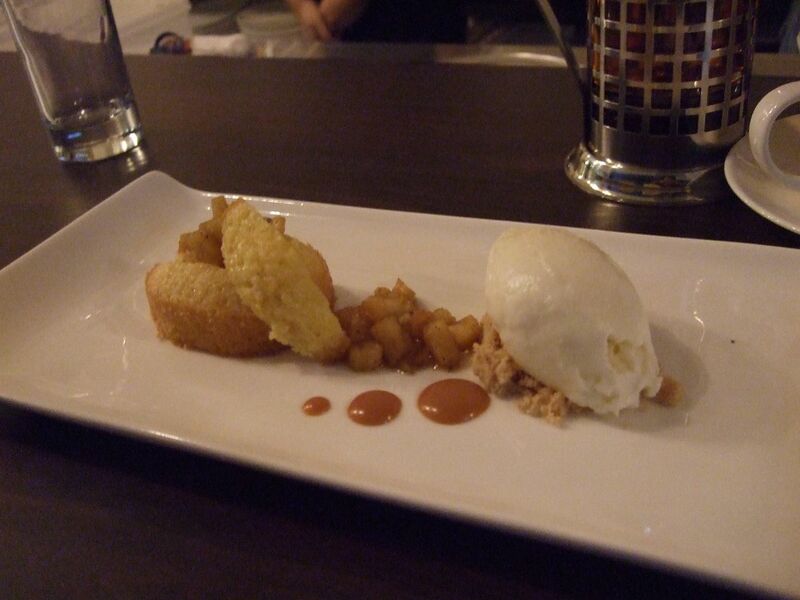 It's the perfect place to end an evening out or perhaps start the evening with desserts! Just be sure to make reservations in advance and cash only. The number? 2868 3302.